The Hawo veriDoc is the new system for safe & Professional labelling & documentation. The center piece of the VeriDoc system is the new PrintBox by hawo. Using this compact print server, the data read by the ValiScan barcode scanner. Regardless of whether its sealable pouches and reels, wrap able sterilization sheets or reusable containers, this system assists medical professionals meet the packaging control and requirements. No additional computer peripheral equipment required to record important packaging information. 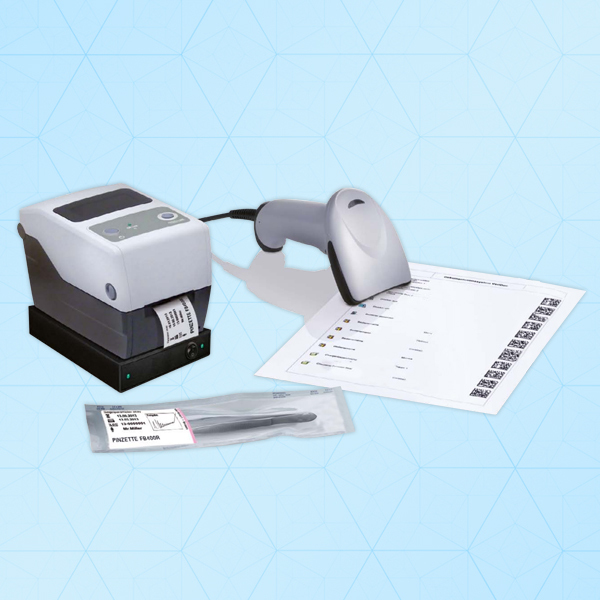 All required information such as batch number, name of the packer, product information or various expiry dates is simply transferred to the PrintBox via the easy-to-use ValiScan barcode scanner and an individualized barcode list. Ideal for hospitals, Pharma Labs, R & D Centers, Clinics & Dentists.